Can YOU help the Fund? 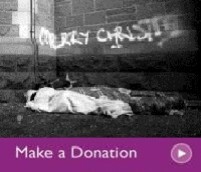 Your donations however large or small will enable even more innovative and inspirational projects to be funded by the CCF. Click below to find out how to donate to the CCF or click on the legacy button to find out about leaving a gift to the CCF in your Will. 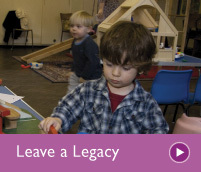 If you have been inspired by what you have seen and read on our website you may want to consider leaving a legacy to the Church and Community Fund in your will. By investing in the Fund you will be investing in creative social outreach and mission ideas that will help the Church actively serve their local communities. Projects supported by the CCF make the isolated feel part of a community, help the church to engage with young people, pull people out of unemployment and aid the Church to be a the heart of community life. Such active community engagement can in turn lead to spiritual and numerical growth in local churches. Whilst you may wish to consider supporting your local parish church, a gift to the CCF is a way in which you can also support the work of other parishes. The CCF particularly supports those parishes working in areas of rural and urban deprivation. Over half of the population of England have not yet made a Will and of those who have, 50% do not keep it up to date. Creating a Will and keeping it up to date is the best way to make sure that your loved ones will be looked after in the way you want. The Church Legacy website gives some very good advice about how to go about writing a Will. Do let us know if you include the CCF in your will. This will help us plan and use future grant allocations more efficiently and we would be pleased to keep you informed about the work of the Fund.